Toro is a longtime manufacturer of landscaping and snow thrower machines. The Toro CCR-2000, also known by model number 38180, is a consumer-targeted snow thrower that was manufactured from 1989 to 1996. If you're in the market to buy a snow thrower or need to find parts for repair, knowing the machine's specifications is essential. The Toro CCR-2000 snow thrower is designed for residential and light commercial use. The engine assigned to the CCR-2000 is a Suzuki single-stage discharge engine with 4.5 horsepower. The motor model is 47PS5-4. The engine uses Toro 2-cycle/NMMA-TCW3 engine oil. The mix ratio for the Toro CCR 2000 is 50:1. The snow thrower requires 2.6 oz. of oil for every gallon of gasoline. Add the mixture before starting the engine. 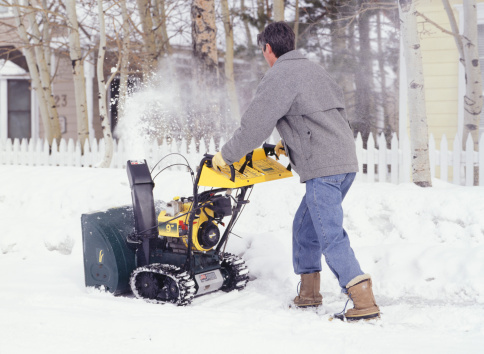 The ignition activates the snow thrower's engine and gears to enable safe and efficient operation. The ignition coil air gaps are measured at .015 to .020 inches. The CCR-2000 model uses spark plugs with a .032 gap. The spark plugs should be inspected regularly because providing the spark to your ignition is crucial and helps to start the snow thrower, especially when the weather is cold and the unit has been stored in a garage. The Toro CCR-2000 operates with a standard primer and choke starter. The primer is situated just above the control panel located near the handles and must be pressed to start the engine. The primer's job is to pump gasoline from the carburetor to the engine. In cold temperatures pressing the prime button several times is sometimes necessary before the engine starts. The Toro CCR 2000 also has an electric start operation feature that allows the user to use electricity to operate the snow thrower.